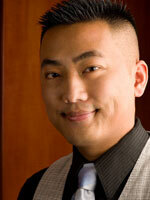 Cha Xiong joined Boos & Associates in February, 2011. His services included the preparation of individual and business tax returns, accounting and bookkeeping, payroll, and various tax research and consulting projects. Prior to his employment with Boos & Associates, Cha was formerly a secondary level substitute teacher with the Clovis Unified School District specializing in mathematics, and formerly an Assistant Manager with the retail chain, Mervyns. He has worked with hundreds of employees and students in training, developing, and improving the skills of every individual. Cha graduated from UC Irvine in 2008 with a Bachelors of Science in Mathematics. He obtained his Associates of Science in Accounting from Fresno City College in 2012 and is currently on the path to taking the CPA exam.